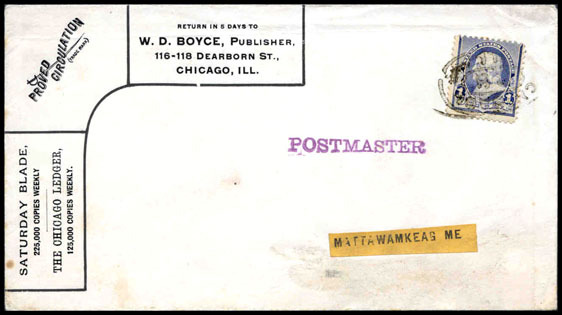 Copyright © 2010 by Scouts on Stamps Society International, Inc. All rights reserved. W. D. Boyce, founder of the Boy Scouts & Lone Scouts, published theSaturday Blade, & The Chicago Ledger out of the Boyce Building in Chicago, IL. 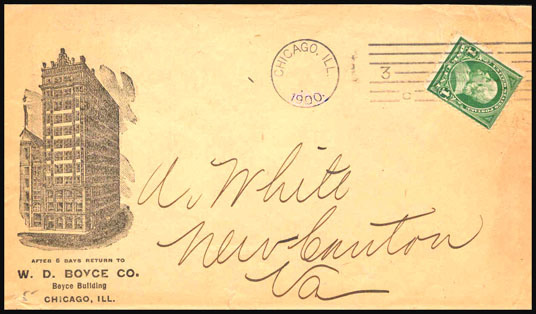 Related advertising & postal history covers precede the foundation of Scouting. 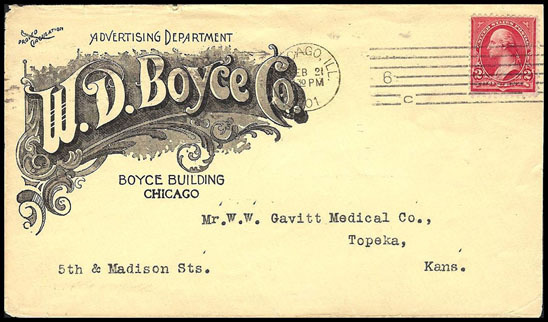 Advertising Department W. D. Boyce Co.